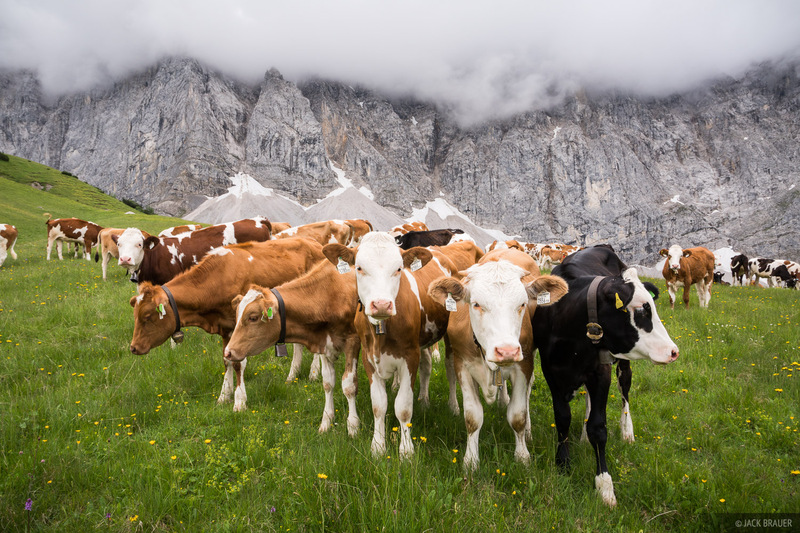 Curious cows pose for the camera in the Karwendel mountains of Austria. Part of the charming atmosphere of hiking in the Alps is the nearly ever-present sound of cowbells jangling through the valleys. Photo © copyright by Jack Brauer.